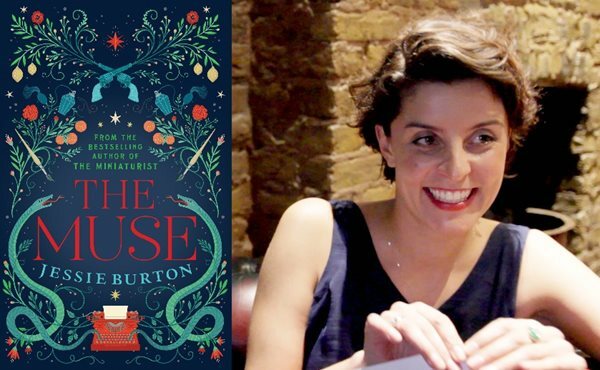 Watch Jessie Burton, China Miéville and more of our favourite Picador authors reading from their new books. We invited some of our favourite Picador authors, including Jessie Burton, Lisa Owens and China Miéville, over to read to us from their new books. In a remote house on a hilltop, a lonely boy witnesses a profoundly traumatic event. Left alone with his increasingly deranged parent, he dreams of safety, of joining the other children in the town below, of escape. When at last a stranger knocks at his door, the boy senses that his days of isolation might be over. This Census-Taker is out now. Claire Flannery has quit her job in order to discover her true vocation - only to realize she has no idea how to go about finding it. Funny, sharp and brilliantly observed, Not Working is the story of a life unravelling in minute and spectacular ways, and a novel that voices the questions we've all been asking ourselves but never dared to say out loud. Not Working will be available at all good bookshops 21st April 2016. Everyone is Watching is a love letter to New York, told through the lives and perspectives of four of the city’s greatest creators, artists and thinkers - Robert Mapplethorpe, Walt Whitman, Robert Moses and Edmund White. Everyone is Watching will be available at all good bookshops June 2016. On a hot July day in 1967, Odelle Bastien climbs the stone steps of the Skelton gallery in London to begin a job as a typist under the tutelage of the glamorous and enigmatic Marjorie Quick. But though Quick takes Odelle into her confidence, she remains a mystery - no more so than when a lost masterpiece with a secret history is delivered to the gallery. An unforgettable new novel from the million-copy bestselling author of The Miniaturist. The Muse will be available at all good bookshops June 2016. When he's flown out to film a TV commercial Tim Callaghan is immediately enticed by Dubai – a futuristic environment unlike anywhere he's ever been before. Then filming begins, a crew member dies, and things get complicated. Seductive, brilliantly managed and a little bit frightening, the desert city takes on an increasingly unsettling atmosphere as the murder investigation begins. The Place That Didn't Exist will be available at all good bookshops July 2016. The Allegations will be available at all good bookshops July 2016. Sign up to the Picador monthly newsletter to be the first to hear all the latest news on our books, authors and events.